Click on over to The Scandy Factory's Gallery for a scan of the later Strand Home Video tape. 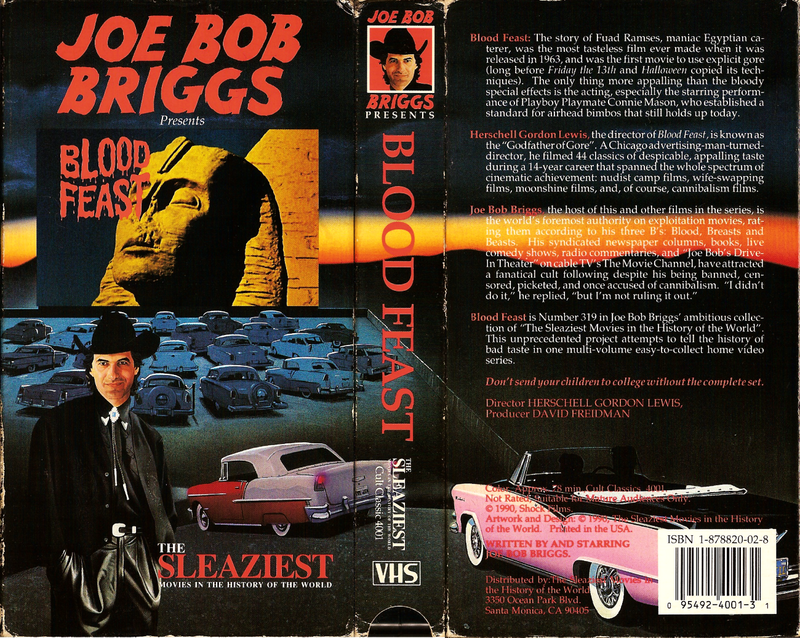 Part of "The Sleaziest Movies in the History of the World" series hosted by Mr. Schlock Encyclopedia himself, Joe Bob Briggs. Highly doubt there's over three hundred in this series; don't send your children to college without the complete set! I have one of these (SLP, if not LP) signed by Joe Bob himself. Do you have any of the Rhino Lewis tapes? Those never seem to show up.